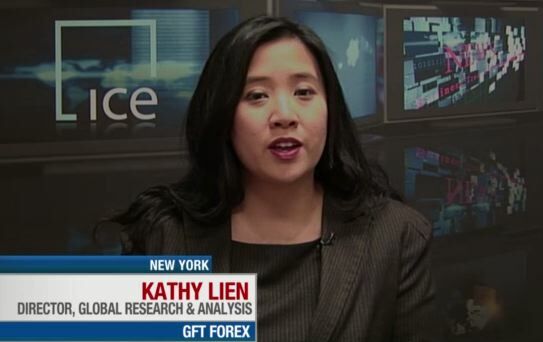 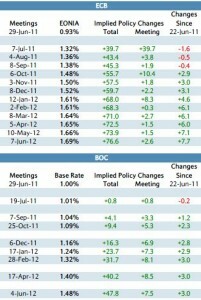 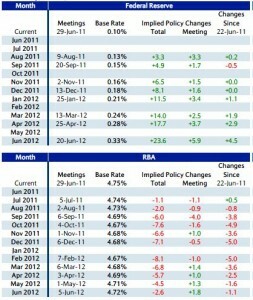 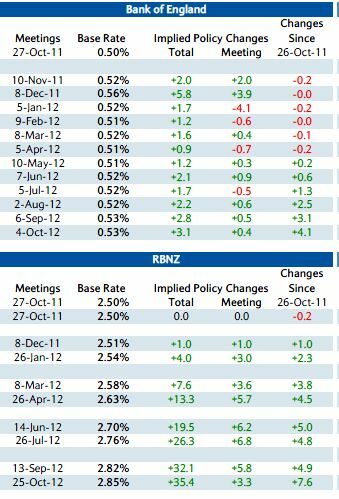 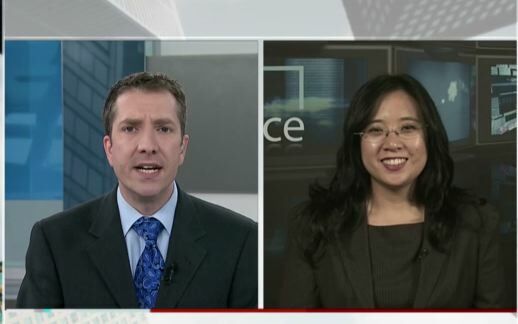 ECB to Leave Rates Unchanged for Rest of the Yr? 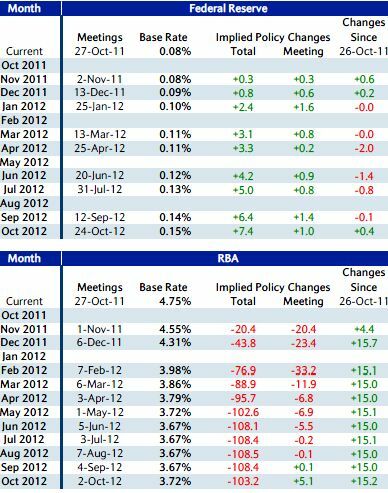 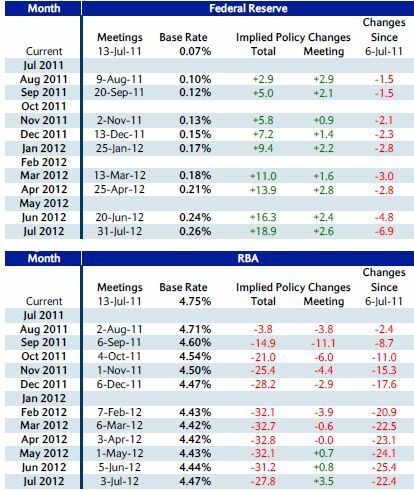 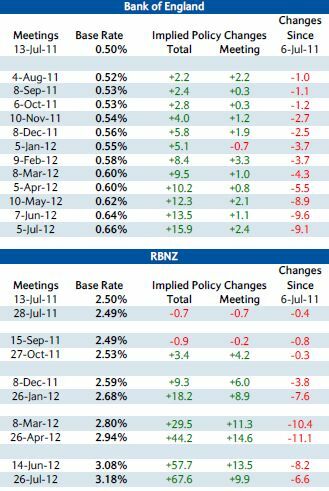 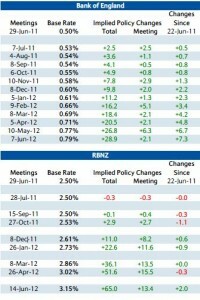 RBA to Cut? 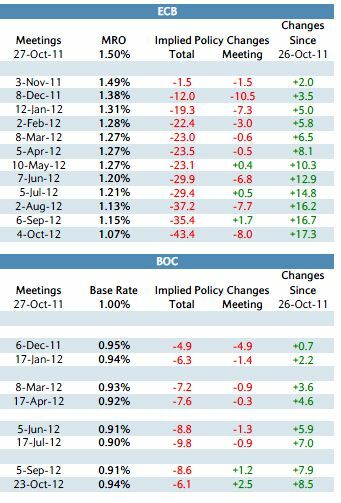 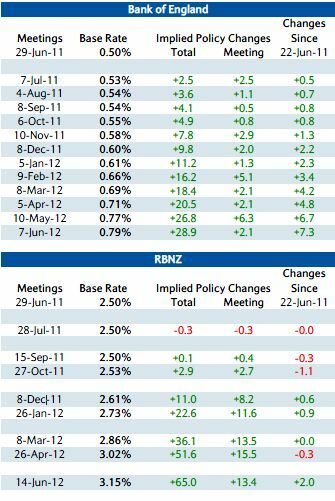 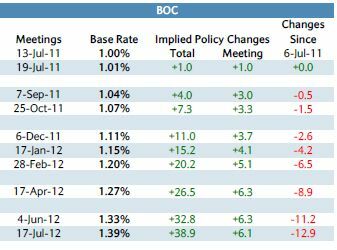 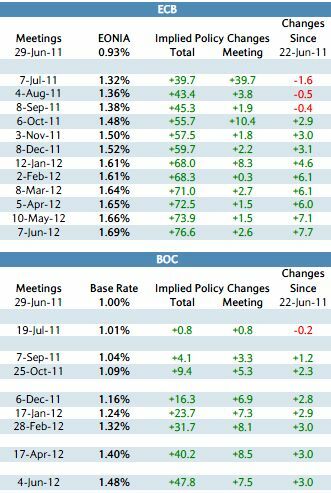 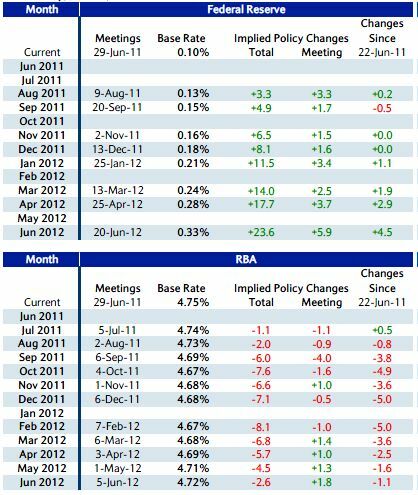 Even though ECB President Trichet was quite clear last week in signaling that rate hikes are not over, based upon interest rate futures, investors are actually pricing in NO RATE HIKES for the rest of the year and into the first half of 2012. 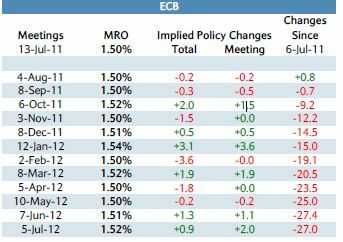 Since the beginning of the year, the ECB insisted that the sovereign debt crisis would not affect their monetary policy decisions which are made based exclusively on the levels of inflation but investors believe that the crisis cannot be ignored.